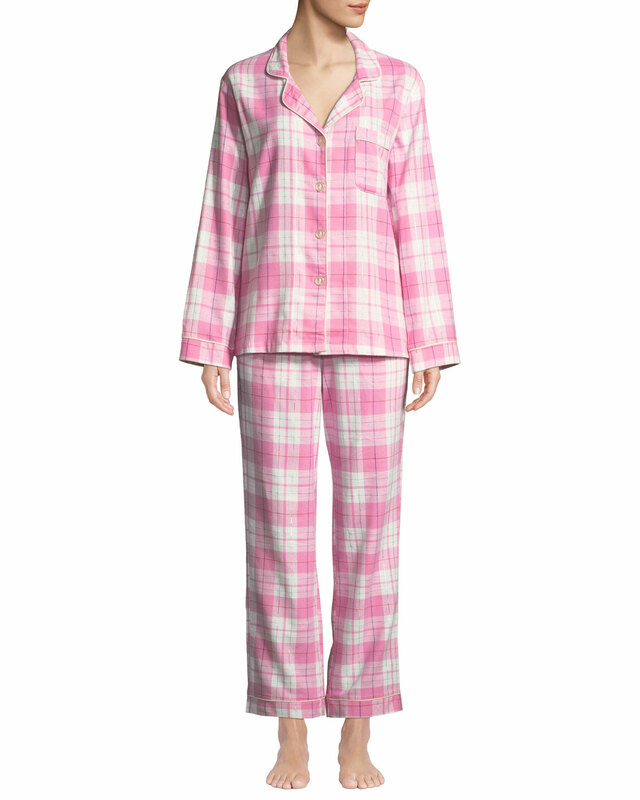 Bedhead classic two-piece pajama set in plaid flannel with metallic detail and allover piping. Approx. measurements: Top, 27″L; pants, 29″ inseam.